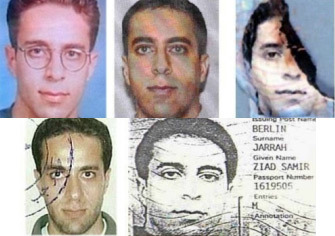 Author’s Note: This article provides significant new evidence and leads relating to alleged 9/11 pilot hijacker Ziad Jarrah that contradict many of the facts about him as described in the 9/11 Commission Report and other U.S.G. documents. The article is meant to be an Open Source Intelligence (OSINT) tool and readers are encouraged to leave comments below that may provide additional evidence and leads or to contact the author with such information (see Contact page). Any referral information for friends or family living in Lebanon who might be interested in helping with the research and investigation would also be appreciated. Lastly, there are over 70 significant endnotes/references that provide substantial information and support to the body of the article. Israel has been active in recruiting spies within Lebanon for a long time. A February 2010 article in The Economist stated that Lebanon’s security service claimed that they broke up no fewer than 25 Israeli spy rings since November 2008. The arrests are said to have exposed a series of agents for Israel, ranging from a retired Lebanese army general who ran a housecleaning service to a garage owner who specialized in supplying Hezbollah with vehicles that he secretly fitted with tracking devices. 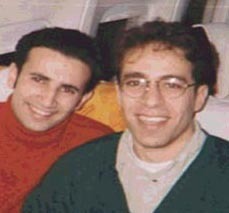 In a strange coincidence, alleged 9/11 pilot hijacker Ziad Jarrah from Lebanon had two Lebanese cousins, Ali and Yusef/Yousef Jarrah (brothers), who were spies/operatives for Israel’s Mossad at the time of the 9/11 attacks. 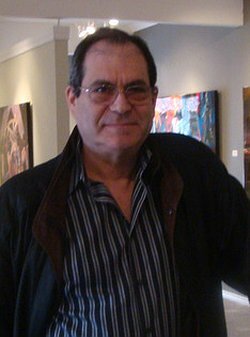 In late 2008, Ali confessed to being a spy for the Mossad since 1983, providing Israel with photographs and reports of Palestinian and Syrian groups and of Hezbollah. Ali spoke with his Israeli handlers by satellite phone and was thought to have a video camera that was also connected via satellite to Israel. It’s estimated that Ali received more than $300,000 for his work for Israel, an amount that made him well-off in Lebanon. Around 2002/03, he built a three-story villa that is by far the grandest house in a modest village of low concrete dwellings. Ali was apparently a valued spy for Israel in that his Israeli handlers called him at the start of the 2006 war between Israel and Hezbollah to reassure him that his village would be sparred and to tell him that he should stay at home. Ali said he tried to stop working for the Mossad but that the Israelis would not let him. The Mossad provided Ali with high tech cameras and listening devices and would sometimes send him to Belgium and Italy where he would receive an Israeli passport for flights back to Israel to be debriefed at length by his Israeli handlers. As will be described in more detail in Part 20, Ziad Jarrah took at least six trips to Europe and the Middle East from the U.S. in the year before Sept. 11. Coincidentally, when Ziad Jarrah was allegedly in the midst of planning the 9/11 crime of the century, his Lebanese cousins were working as spies for Israel. Ali even posed as a member of the militant Palestinian group called Fatah-Intifada for some time so he could infiltrate the group for Israel’s benefit. Could Ziad have done the same in infiltrating al-Qaeda for the Mossad’s benefit and were his many trips back to Europe before 9/11 just cover for meetings with Israeli handlers? A February 2009 New York Times (“NYT”) article stated about the coincidence of Ziad and Ali being cousins: “The men [Ziad and Ali Jarrah] were 20 years apart in age [actually 16 years] and do not appear to have known each other well.” The NYT article obviously made a subjective statement that is not supported or based on any specific fact other than the cousins’ (incorrect) age difference. Not surprisingly, there was no investigative work done by the NYT to determine the past relationship of Ziad Jarrah with his Mossad operative cousins. Unfortunately for the NYT, its conclusion about the coincidence is not supported by the actual evidence. Ali lived in a small Lebanese Bekka Valley town by the name of Marj/al-Marej, where he worked as an administrator at a nearby school. Marj is 30 miles east of Beirut, 15 miles west of the Syrian border, and 30 miles north of the Israeli occupied Golan Heights. Marj’s size is only 7.5 square miles, has 1,800 dwelling units, a probable population of about 10,000 to 15,000, and is a small suburban/rural type town. 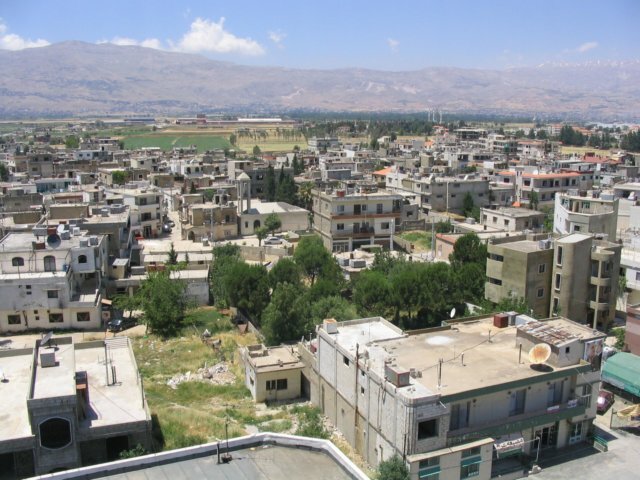 The Bekka Valley area where Maj is located produces much of Lebanon’s fruits and vegetables and is also home to many of its well-to-do. An April 2002 FBI report states that Ziad was born in al-Marej. Shockingly, neither The 9/11 Commission Report nor any FBI reports state where Ziad grew-up and include only one sentence on Ziad’s alleged 21 years in Lebanon. An equally pathetic CIA report adds little more stating Jarrah was sent to the best, most expensive Christian schools in Beirut and that Jarrah’s family and press reports claim that Jarrah drank alcohol, partied, and did not hold any extreme religious beliefs before leaving for Germany. According to the Wall Street Journal and Boston Globe, Ziad was raised in the Bekka Valley. However, there are conflicting sources that state that Ziad grew up in nearby Beirut and that his parents would drive him to Marj “nearly every weekend of his childhood and adolescence” where it appears his parents had at least a second home. It also appears that Ziad attended Christian boarding schools in Beirut where he may have lived during the weekdays. In any case, Ziad spent a substantial amount of time in Marj while growing up where he would have likely had contact with his cousins Ali and Jusef. Was the FBI, CIA and The 9/11 Commission fooled and/or confused about Jarrah’s past and is that why The 9/11 Commission only included one sentence on his first 21 years in Lebanon? Or did they just know that to disclose any information on Jarrah’s early life would open themselves up to more questions and doubts about Jarrah’s participation and role in the false flag operation? Per the 9/11 Commission’s one sentence, Jarrah came from an affluent family and attended private Christian schools while growing up. An October 2001, article in the Los Angeles Times indicates that Ziad apparently attended high school in France and that he and his cousins from Marj came from a non-religious and “close-knit family.” The Times reports that Ziad (right in the photo) spent a lot of time at a cousin’s house in Marj and that he was close to a cousin named Salim Jarrah (left in the photo) who was Ziad’s age and who might even be Ali and Yusef’s younger brother. Ziad and Salim both emigrated to Germany together in 1996 at the age of 21 and at a time when Ali Jarrah had been an embedded spy for Israel for 13 years. A friend of Ziad’s in Dusseldorf (Mahmoud Ali) told the LA Times that the Jarrah family is the most influential family in Marj and included Jamal, a banker, Nesim, a senior customs officer, and the fathers of Ziad and cousin Salim, Samir and Gazi, respectively, high ranking officials in the Lebanese social security system. However, the Wall Street Journal stated that Ziad’s father was a civil servant who earned about $21,000 a year and was giving Ziad a $1,500 a month allowance. (Note: the LA Times stated that Ziad received $2,000/month from his parents when he moved to Florida). Even as a high ranking official in the Lebanese government, that would not make Ziad’s father “affluent,” as described by the 9/11 Commission. How did Samir Jarrah afford to send his three children to private boarding schools (Ziad had two sisters) and give Ziad an allowance of $2,000/month, could Samir Jarrah also have been on Israel’s payroll in the same way Ali and Yusef Jarrah were? It appears that the Jarrah family in the small town of Marj was very close, and it also appears that Ali probably helped recruit his younger brother Yusef to be a spy for Israel. The Mossad obviously felt comfortable working with members of the Jarrah family and they had an easy recruiting target in the younger cousin Ziad. Among dozens of hijacker related documents, The 9/11 Commission files included an April 2002 FBI Summary relating to Ziad Jarrah. 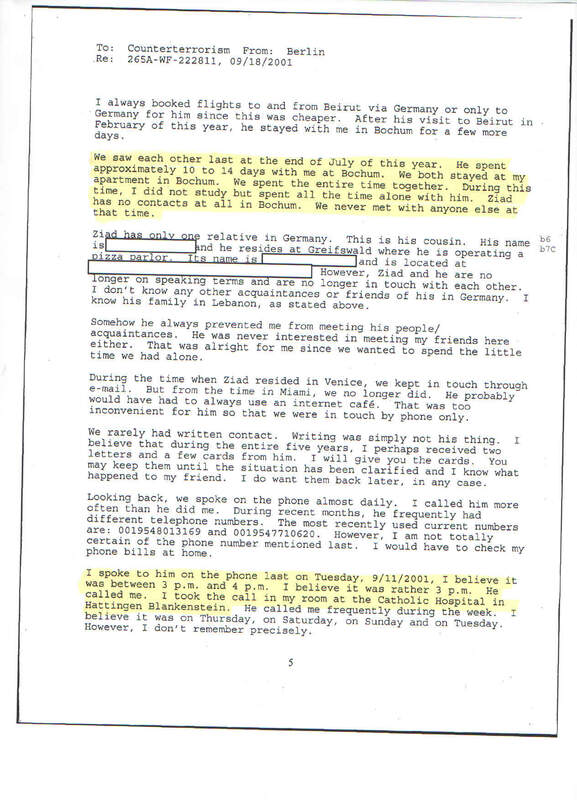 This FBI document shows that Jarrah was in Marj for 10 days in March 2001. Strangely, neither The 9/11 Commission Report nor the FBI Hijacker Timeline (“FBI HJ Timeline”) show Jarrah in Marj at this time. However, the FBI HJ Timeline does include 13 redacted events in March 2001 that may include how Jarrah got to and from Marj. A detailed staff report by the 9/11 Commission on terrorists’ travel describes six other international trips by Jarrah in the year before Sept. 11, but it fails to mention the fact that he was in Marj in March 2001, despite having the FBI’s record of him being there. Although the FBI HJ Timeline shows that Jarrah allegedly checked into a suburban Atlanta hotel on March 15 for two weeks under an alias, there’s no other events for Jarrah between Feb 25, and March 30, 2001 (Note: Jarrah allegedly used the alias, Ziad Samir, when checking into the hotel which does not show up as an FBI alias for him). This author also found no other confirming evidence that Jarrah was in Atlanta from March 15 to March 28. Why did The 9/11 Commission not include the FBI evidence that Jarrah was in Marj for 10 days in March 2001 and why did the FBI delete or redact these events from the HJ Timeline? Did Jarrah meet with his Israeli spy cousins while in the tiny town of Marj? The more likely question is, how could he not have? Jarrah’s FBI report also shows that he had a cousin in Detroit and possibly two others in Springfield, Massachusetts (names redacted). While the FBI report states there were no alleged contacts between Ziad and his cousin in Detroit, it is silent on whether there was contact with his possible cousins in Springfield. Strangely, the FBI report notes that the individuals in Springfield may even be Jarrah’s brother, suggesting a possible close relationship between Ziad and the Springfield brothers. Who were these Springfield individuals and could Jarrah have had other Israeli spy cousins in the U.S. assisting him in the covert operation? The FBI report also notes four instances where Jarrah was basically shown to be on two flights at the same time and the FBI does not resolve the discrepancy. One flight actually showed Ziad Jarrah as the pilot of a private plane which coincides with several mainstream media reports that Jarrah had a German pilot’s license. The flight that showed Jarrah as the pilot just happened to be from Frankfurt Germany to Tampa on October 29, 2000. The FBI, CIA, and The 9/11 Commission do not mention this issue. The duplicate flights do not appear to be a case of double booking and appear to be instances where a Ziad Jarrah was confirmed to be on two separate flights. However, it appears that the FBI once again either deleted or redacted the conflicting evidence that did not fit their story from the FBI HJ Timeline. This information suggests that there probably was a doppelganger Ziad Jarrah involved in the 9/11 operation (Note: a summary of the four flight discrepancies are provided in endnote 41). What was surprisingly missing from the list of crash site evidence was Jarrah’s charred U.S. student visa that was reported as being found at the crash site by the media and by The 9/11 Commission. Why this crucial piece of evidence is not mentioned in the FBI report is inexplicable and indicates it was not found at the crash site as reported by the 9/11 Commission. Indeed, a comparison of Jarrah’s original student visa with the charred one does not appear to match up, as the writing at the bottom of the visas do not appear to be similarly aligned with the photos in the visas (see endnote __ for a detailed explanation of the discrepancy). Regardless, U.S. or Israeli intelligence would have no problem creating any duplicate document. There are many questionable facts and circumstances relating to the UA 93 crash site which basically consisted of a huge crater in the ground with little distinguishable plane parts and debris. The alleged discovery of Jarrah’s passport, student visa, and Atta’s 9/11 letter reeks of being planted evidence meant to implicate Jarrah as one of the alleged hijackers on UA 93 and to provide support for the U.S.G.’s absurd 9/11 theory. Indeed, Jarrah’s many damning FBI report findings casts additional serious doubts on the government’s 9/11 story and helps support the more likely theory that 9/11 was almost certainly a false flag operation. The contradictions and discrepancies with the Official 9/11 Story concerning Ziad Jarrah are revealing and significant. An excellent and well referenced article by 9/11 author and journalist Paul Thompson in Sept. 2002, entitled “The Two Ziad Jarrahs” shows that there were two similar looking Ziad Jarrah’s in different places at the same time on several occasions (including living in the U.S. five years before the U.S.G. said the first entered the country) and that Ziad’s real life persona was nothing like the Islamic fundamentalist portrayed by the 9/11 Commission. Thompson also shows several timeline discrepancies in Jarrah’s alleged travels and activities and that a slew of family and friends who knew him best said he never exhibited devout Muslim tendencies nor did he ever express extremist ideology. Jarrah #1: Photo of Ziad Jarrah taken in 1996 (BBC). Jarrah #2: FBI photo of Ziad Jarrah. 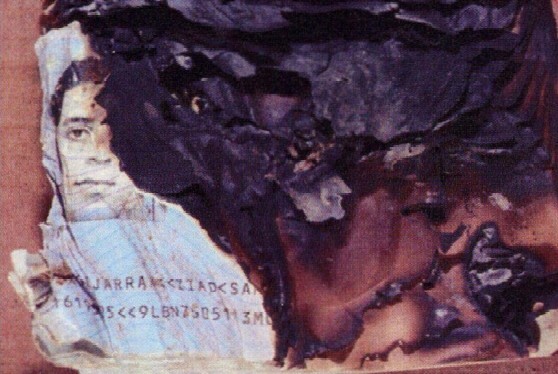 Jarrah #3: Charred U.S. student visa photo of Ziad Jarrah found in the wreckage of UA 93. Jarrah #4: A passport photo of Ziad Jarrah (CNN). Jarrah #5: Non-charred student visa photo of Ziad Jarrah. Jarrah #6: Video of Ziad Jarrah and Mohammed Atta from January 2000. 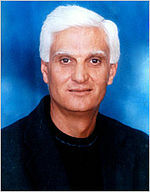 The visual evidence along with the above two articles and some of the evidence from Ziad Jarrah’s April 2002 FBI report indicates that there were probably two Ziad Jarrah’s involved in the 9/11 false flag operation. This fact implies that there was a doppelganger Ziad Jarrah that occasionally took on Jarrah’s identity and that he most likely had a set of fraudulent travel documents like passports and visas and probably other false identification documents. There are a couple other dubious facts involving Ziad Jarrah’s travel documents. 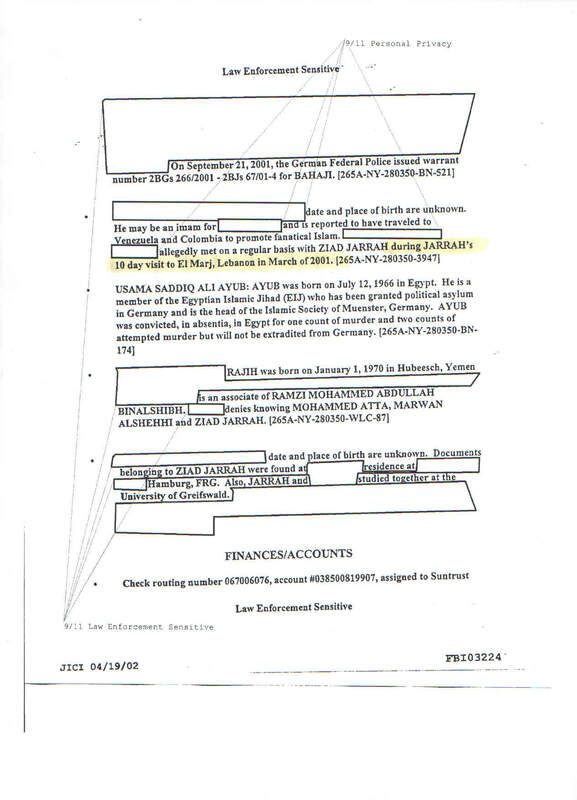 First, another FBI document in the 9/11 Commission files shows that Ziad Jarrah coincidently had a Lebanese and a German passport that had the identical number 1619505. Jarrah’s possession of a German passport was confirmed by one of his landlords (Charles Lisa) in Ft. Lauderdale who stated that Jarrah and alleged hijacker Ahmed Haznawi both provided German passports as proof of identity; however, Lisa said that Ziad went by the name Jarrahi Ziad. Neither Jarrah nor Haznawi were German citizens and therefore should not have had German passports. Did al-Qaeda have the resources to produce the counterfeit documents, and if not, what other group or institution would have the capability of making such high quality fraudulent documents? Per the CIA Assessment of Israeli Intelligence discussed in Part 2, Israel’s Mossad has a reputation for forging passports and other identity documents of Arab and Western countries. According to ex-Mossad agent Victor Ostrovsky, the Mossad has its own “passport factory” to create or doctor passports for use in intelligence operations. Ostrovsky says there is a company within Mossad headquarters that is dedicated to just forging passports. They create various types of papers, every kind of ink. It’s a very expensive research department but he says the manufactured passports are almost identical to the originals. In his 1990 book, “By Way of Deception,” Ostrovsky states that the Mossad even forges U.S. passport documents. According to Ostrovsky, The New York and Washington Mossad agents are among the most experienced in the institute and often carry illegal fraudulent U.S. passports. The Mossad gets away with this because the quality of their documents are top grade. If the Mossad can duplicate other countries passports so easily, including the U.S.A.’s, how difficult can it be to produce fraudulent driver’s licenses and other lesser critical identification documents? Aysel Senguen: A pathological liar or Jarrah’s European cover story. In an interview given to German police on Sept. 13, 2001 (“German Police Report”), Senguen never once stated that Jarrah showed any signs of Islamic extremism during their five year relationship. According to the Oct. 23, 2001 LA Times article, the only somewhat questionable thing she said about Jarrah is that he became more conservative and possessive in the recent months before 9/11. Conveniently, Senguen went into a witness protection program after the German police interview and would not talk directly with reporters afterward. Several other friends and family members interviewed by the LA Times also stated that Jarrah was non-religious and partied and drank alcohol. Per the German Police Report, Senguen first stated that she received a call from Jarrah around 3 p.m. to 4 p.m. on Sept. 11, and then subsequently stated, “It was rather 3 p.m.” Strangely, even 3 p.m. Germany time is 9 a.m. Newark time and Jarrah’s flight UA 93 was scheduled to take-off at 8 a.m. and it pushed back from the gate a minute later (note: Jarrah did not allegedly check in until 7:39 a.m. and there is no visual evidence he did). However, the flight was delayed on the ground due to plane traffic and did not take-off until 8:42 a.m. Senguen stated that the quality of the call was good and that there was no background noise. Thus, Jarrah supposedly called Senguen from a cell phone in a very quiet plane very shortly before it took-off and after sitting on the tarmac for nearly an hour. Consequently, the time Senguen allegedly received the call from Jarrah was contradicted by two subsequent reports that put the call approximately 2 hours earlier and had Jarrah calling from an airport pay phone. Senguen just happened to be in the hospital (to have her tonsils removed) when she received Jarrah’s call on Sept. 11, and it is does not appear that German or U.S. authorities ever tried to confirm the time of the alleged call from Jarrah. The second conflicting event is even more damning to Jarrah and Senguen. According to Senguen’s interview with the German police, Jarrah arrived in Bochum, Germany (30 miles from Dusseldorf) at the end of July and they spent approximately 10 to 14 days (actually 12 days) together and never met with anyone else during that whole time. According to the FBI HJ Timeline and 9/11 Commission Report, Senguen bought a one-way ticket for Jarrah back to the United States on August 3, for a flight from Dusseldorf to Miami on August 5, 2001. 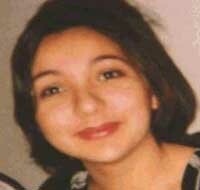 According to the LA Times and a third party account of a conversation with Senguen, she stated that Jarrah returned to Florida after less than a week in Germany, missing the Beirut wedding of his older sister Dania on August 2, 2001, because he was supposedly scheduled to take a test for a pilot’s license at the Florida Flight Training Center (“FFTC”) in Venice, Florida, on July 30, 2001. However, there are no other sources confirming that Jarrah received a pilot’s license from the FFTC at this time, but there were other media reports stating that one of Jarrah’s two sisters got married in Lebanon on August 2, and that he did not attend the wedding. It is this author’s opinion that Jarrah probably did not return to the U.S. early, at least under his own travel documents. Ramzi Binalsibh: Key 9/11 witness tortured and diagnosed with schizophrenia and bi-polar disorder. 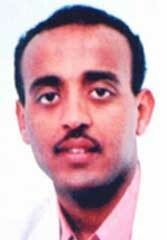 The only other evidence that U.S. investigators have suggesting Jarrah was in Germany at this time is a December 2002 interrogation interview of alleged Hamburg al-Qaeda cell member Ramzi Binalshibh where he allegedly stated he picked Jarrah up at the Dusseldorf airport and met with him again a few days later. Binalshibh was captured in Sept. 2002, and held in secret CIA prisons for four years where he was tortured for testimony and is now delusional with schizophrenia and bi-polar disorder. There is no other evidence that Jarrah met with any other al-Qaeda members during this time and the FBI HJ Timeline does not show any alleged meetings between Jarrah and Binalshibh. There are significant questions as to why Ziad Jarrah would take a twelve-day love holiday in the final six weeks before the most complex terrorism operation in history. Even more questions are raised by the dubious and contradicting evidence discussed above and whether Senguen may have also been a covert asset providing cover and a reason for Jarrah’s many trips to Germany before the 9/11 attacks. Like his spy cousin Ali Jarrah, did Ziad receive an Israeli passport in Germany that allowed him to fly to Israel under a different name to be debriefed and instructed by his Israeli handlers? Did he secretly go back to Marj in July/August 2001 as he did in March 2001, where he likely had contact with his cousins who were spies for Israel? Why did Senguen contradict herself about Jarrah’s religiousness and the time she received his call on Sept. 11? Is it really plausible that Jarrah and Senguen spent twelve days together without meeting one single person, including Ziad’s Dusseldorf friend Mahmoud Ali (Note: Senguen also stated Jarrah knew no one in Bochum, but he knew Ali and allegedly met Binalshibh)? So who was lying, Senguen or Binalshibh, and why did either lie? Could Senguen have been handled by the same people who were likely handling Jarrah on his trips to Dusseldorf? Part 20 will discuss and provide further evidence of other connections that Ziad Jarrah may have had with Israeli intelligence in Hamburg and the U.S.A.
“Lebanon Arrests Cell Suspected of Working for Israel’s Mossad Since 1980’s, Haaretz (Israel), November 2, 2008. “Roee Nahamias, “Report: Lebanon Uncovers Espionage Ring Working for Israel,” As-Safir (Lebanon), November 1, 2008. Robert Worth, The New York Times, Ibid. Note: The website estimated the population of Marj to be “approximately” 20,000 but it does not appear to have an official census. The website also states that the town has only 1,800 dwelling units (i.e., only 240 units per square mile), which appear on the small side from photos (apartment type residences). Photos of the town also show a small suburban/rural type town. This author estimated a population of 10,000 to 15,000 people which would approximate 5.6 to 8.3 people per dwelling unit. Note: This document is from the 9/11 Commission’s files and has been reprinted at Historycommons.org 911DocumentArchive. Note: The 9/11 Commission Report states that Ziad Jarrah was born in Mazraa, which contradicts the April 2002 FBI report and the FBI Hijacker Timeline. Also, several media reports state that the Jarrah family was from Marj including the October 23, 2001 LA Times article that stated Ziad spent much of his childhood and adolescence in Marj (see endnote __). Note: The 9/11 Commission Report includes only one sentence of Ziad’s alleged 21 years in Lebanon, stating, “Ziad Jarrah was born on May 11, 1975, in Mazraa, Lebanon, and came from an affluent family and attended private, Christian schools. Note: The CIA report includes about 2 paragraphs on Jarrah’s 21 years in Lebanon and includes a seven line redaction or about one-half of the information. It also states that according to Jarrah’s family and press reports, Jarrah was non-religious and drank but only one individual (a redacted name) said he was extremely religious. Similarly, the FBI report mentions nothing about Jarrah’s alleged 21 years in Lebanon and starts his biography with his moving to Germany in 1996. Oddly, the FBI report states that Ziad’s sister graduated from the American University in Beirut, but it does not state where Ziad went to school in Lebanon. Note: The subject article states that Jarrah attended Hikmeh High School in Beirut and that he graduated in 1996. However, this would make Jarrah 21 when he graduated high school which is very questionable. Carol J. Williams,” Los Angeles Times, Ibid. http://articles.latimes.com/2001/oct/23/news/mn-60481/3. Note: The LA Times states, “Although Jarrah spent his first 14 years in war-torn Beirut, his family insists he was shielded from the hardships and showed no interest in politics. Jarrah attended Christian schools, graduating from a French high school, where he became fluent in French and English.” Although other sources have suggested that Jarrah may have went to a private high school in Beirut, this article appears to imply that he may have went to a high school in France since he only spent the first 14 years of his life in Beirut. None of the schools Jarrah attended have been confirmed by official U.S.G. sources. Note: Although this article does not specifically state that Ziad and Ali Jarrah are cousins, other information in the article makes it apparent that they are and that they are from a close-knit family. Salim Jarrah is clearly Ziad’s cousin and is from the small Lebanon town of Marj/Maraj, the same town Ali and Yusef Jarrah are from. The article also suggests that Ziad’s father Samir Jarrah, and Salim’s father Nesim Jarrah, are the only two male siblings in Lebanon, indicating Nesim must thus be the father of Ali and Yusef. There’s no evidence to suggest that Ali and Yusef Jarrah are not the sons of Nesim Jarrah or the brothers of Salim Jarrah. This article also points to many discrepancies of the character and events of Ziad Jarrah compared to the information provided by the US government. Note: Although not stated, it appears that Samir, Gazi, Jamal, and Nesim may all be brothers as it was stated once in the article that Jamal was Ziad’s uncle. Thus, it appears that Ali and Yusef were probably the sons of either Gazi, Jamal, or Nesim. FBI Hijacker Timeline, Dated Nov. 14, 2003 and released by the FBI in February, 2008. The redacted FBI Hijacker Timeline provides place and time entries for the alleged 9/11 hijackers up to the 9/11 attacks. It is not all-inclusive, is heavily redacted in parts, and includes information contradicting known facts about the hijackers. Although dated Nov. 14, 2003, it appears to have been completed in mid-October 2001 (the most recent date mentioned in the report is Oct. 22, 2001), when the FBI was just starting to understand the backgrounds of the hijackers, and it contains almost no information from the CIA, NSA, or other agencies. This document was a major source of information for the 9/11 Commission Report and was cited in it 52 times.
 . The FBI Hijacker Timeline typically shows when hijackers check out of a hotel and would generally include other events during an alleged two week period. The FBI HJ does not show such events. There were several mainstream media articles that stated Ziad Jarrah had a pilot’s license from Germany, and following are links to the articles (Note: the U.S.G. does not acknowledge this alleged fact). October 29, 2000 (FBI page 03218): Two flights from Frankfurt, Germany to Tampa, FL. The admission/immigration number for both was 84811946106 which does not match any known travel document numbers for Ziad Jarrah (Note: one flight was a commercial flight while the other appears to be a private plane that Jarrah supposedly piloted. Paul Thompson’s article, “The Two Ziad Jarrah’s,” stated that, per the St. Petersburg Times, Jarrah did have a German pilot’s license). The FBI HJ Timeline shows the first flight. December 26 and 28, 2000 (FBI page 03218 and 03219): The Dec. 26 flight was from Miami to Munich and the Dec. 28 flight was from St. Petersburg to Frankfurt. The FBI HJ Timeline shows the first flight. July 25, 2001 (FBI page 03221): The first flight was KLM from Atlanta to Amsterdam and the second flight was Continental Newark to Dusseldorf. The FBI HJ Timeline shows the second flight. Sept. 7, 2001 (FBI page 03221): The FBI found a baggage ticket for Ziad Jarrah for a flight from Los Angeles to Houston where the FBI had no record of him being on that flight and being on a flight from Ft. Lauderdale to Newark that same day The FBI HJ Timeline only shows the second flight. Note: This report lists both “crime scene/crash site evidence” and “search evidence” that appears to have been obtained by different means (e.g., evidence from cars, hotels, apartments, etc.). Jarrah’s passport and debit card are classified as “search evidence” indicating they were not found at the crash site and were obtained by some other means. Note: This document was presented as evidence at the Moussaoui trial and appears to be just a portion of the Jarrah’s passport. However, no other photos have been provided by the U.S.G. or published in the media. Note: This report lists three Saudi Arabia ID’s that were allegedly found at the crash site. One belonged to alleged UA 93 Saudi hijacker Ahmed Alnami while the other two did not include the names. However, there just happened to be two other alleged Saudi hijackers on the UA 93 flight. Note: This report states that a “Handwritten letter with possible Arabic writing” was found at the crash site. The analyst then makes the comment, “This is page one of the four page “Dear Traveler letter.” The Dear Traveler letter was allegedly written by Mohammed Atta and contained the 9/11 plans. This letter is confirmed by the following endnote which is an excerpt from Mohammed Atta’s FBI report. Note: This document states, “Later in the day on September 11, 2001, two pieces of luggage in the name of Mohamed Atta, which had not been loaded onto flight 22, were recovered at Boston’s Logan Airport. A subsequent search of this baggage revealed items to include a three page letter handwritten in Arabic which, upon translation, was found to contain instructions for the hijackers. Copies of the letter were also recovered from crash site of Flight 93 and in the car registered to Nawaf al-Hamzi that was found at Dulles International Airport. Note: This is a photo of Jarrah’s U.S. student visa that was allegedly found at the UA 93 crash site. However, Jarrah’s FBI report does not show this document being found at the crash site. The photos to the left show Jarrah’s original U.S. student visa and the picture of the charred visa that was allegedly found at the UA 93 crash site. A comparison of the photos with the writing underneath, shows that they are not aligned the same. For example, in the charred visa, the photos lines up with the “H” in Jarrah’s last name while in the original photo it appears to line up one or two characters to the right. Regardless, both U.S. and/or Israeli intelligence would have easily been able to make a fraudulent copy of the visa. Note: This article about the 9/11 crash site is from an anonymous author and contains over 100 credible references. It is one of the best investigative reports this author has read on the UA 93 crash site. It is this authors opinion based on the five photos (number left to right and top to bottom) that photos 1,2, and 4 are either one or two people and that photos 3 and 5 are another person. There is also the possibility that photos 3 and 5 (allegedly the same with one being charred) may even be two different people. 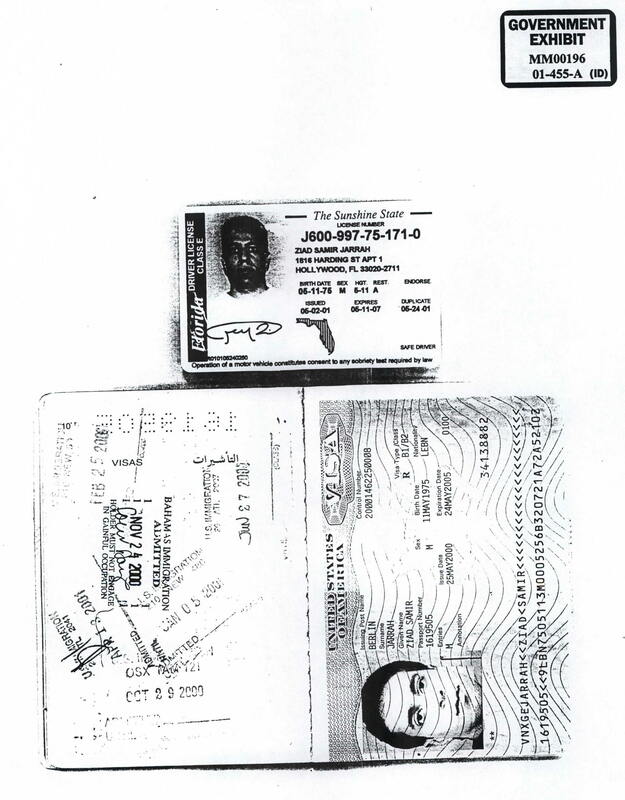 Note: The above photo of Jarrah’s student visa and driver’s license is from evidence in the Moussaoui trial. Note: original video was allegedly found by the U.S. military in Afghanistan in late 2001 and does not have any audio. The subject Youtube video is a compilation of several mainstream media reports on the subject. Note: All the radicalization information regarding Jarrah in the 9/11 Commission Report comes from a secret German Intelligence report dated July 2002. It appears that Jarrah’s radicalization information comes from various witnesses with the only noted source being Jarrah’s girlfriend, Aisel Senguen. Although most publicly available information states that Aysel Senguen was Ziad Jarrah’s girlfriend (including Senguen’s Sept. 13, 2001 interview to German police), some other information suggests they may have been secretly married. Note: There were several other media reports that stated Senguen went into a witness protection program. Thus, the LA Times statement was from a third party source who apparently talked with Senguen. .
 Federal Bureau of Investigation translation of an interview of Aysel Senguen with German Police on September 18, 2001, released by FBI on Sept. 7, 2008. https://vault.fbi.gov/9-11%20Commission%20Report/9-11-interviews-2001-09-sep-07-of-08. The October 2001 LA Times article contradicts the time Senguen allegedly talked to Jarrah on Sept. 11, stating that she talked to him an hour before boarding which is two hours before her interview with the German police. An hour before Jarrah boarded the flight on Sept. 11, would have been 7 a.m. Newark time and about 1 p.m. Germany time, while Senguen stated she talked to Jarrah around 3 p.m. Germany time. A documentary on Ziad Jarrah by a Ronan Bennett in Aug. 2004 stated Jarrah called Senguen from an airport payphone which would have meant Jarrah called Senguen no later than about 1:30 p.m. Germany time and possibly even earlier. (www.theguardian.com/film/2004/22/september11.alqaida). Note: It appears that the statement attributed to Senguen came from an individual interviewed by the LA Times who had allegedly spoken to Senguen. Thus, it’s not known whether Senguen actually made this statement or whether the person interviewed made the story up for some reason. Paul Thompson, “The Two Ziad Jarrahs”, Ibid. In addition to the LA Times article’s statement, Thompson references an article in the UK’s Independent also stating that Ziad missed his sister’s Beirut wedding on Aug. 2, 2001. It’s this author’s opinion that Jarrah probably did not return to the U.S.A. after less than a week as stated by the LA Times (Note: the source in the LA Times statement appears to be a friend or family member of Ziad Jarrah’s who was allegedly told the story by Senguen). Note: Ramzi Binalshibh is often referred to as Khalid Sheik Mohammed’s (i.e., the alleged mastermind of the 9/11 operation) protégé and the second most important alleged al-Qaeda member at Guantanamo Bay today. The subject testimony was allegedly given on 12/11/02 and 4/8/04 at a time that he was held in secret CIA prisons and almost certainly tortured. In other words, this testimony is not reliable as it was most likely obtained by torture. If the Ramzi Binahshibh’s interrogation interview had mentioned any Ziad Jarrah meetings with other al-Qaeda members, The 9/11 Commission Report would almost certainly have included it (i.e., because it would be important and pertinent to the alleged 9/11 operation and plans). Thus, there is little or no direct evidence concerning what Ziad Jarrah did for 12 days from July 25 to Aug 5, 2001, or if he was even in Germany at this time.